Strategic sourcing for organizations such as the International Committee of the Red Cross often revolves around providing food, basic housing and medical supplies to people living in particularly impoverished regions around the world. Due to the absence of consumer data, obtaining the necessary materials becomes quite a challenge, as Red Cross personnel have to accurately determine which materials are needed. According to Supply Chain Brain, researchers at the Massachusetts Institute of Technology Humanitarian Response Lab are devising new critical situation assessment methods of delivering aid. Jarrod Goentzel, founder and director of the department, claimed that comparing conclusions derived from social media and big data with seaport and highway operability could give organizations a better perception of how essential materials should be transported to areas affected by natural disasters or disease. Goentzel also noted the importance of the private sector, stating that brick-and-mortar stores should leverage data to figure how to best meet supply needs. Before a hurricane shakes a region's infrastructure, it's imperative that retailers stock up on necessary items. 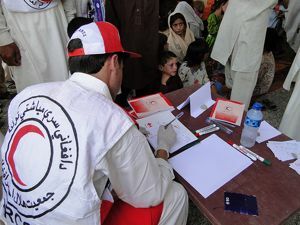 Sometimes, organizations such as the International Committee of the Red Cross have to deduce how public authorities will hinder procurement management. According to the Sudan Tribune, Sudanese officials recently announced that they were suspending ICRC activities after the organization refused to abide by Khartoum's extortionate demand that funds and resources be transferred to the Sudan Red Crescent. In addition, the news source reported that the National Islamic Front/National Congress Party regime in Darfur recently expelled the Agency for Technical Cooperation and Development (ACTED), a humanitarian aid organization from France supporting water and sanitation infrastructure for camps surrounding the region of Zalingei. An anonymous UN official told the Sudan Tribune that this move left many charitable sectors without effective spend management or oversight, leaving many of those living in poverty with little to no knowledge of how operations should continue. These suspensions and expulsions ultimately hinder materials acquisition. For this reason, it's important organizations such as ACTED and the ICRC take a diplomatic approach to procurement and work with national governments so that aid can be delivered.